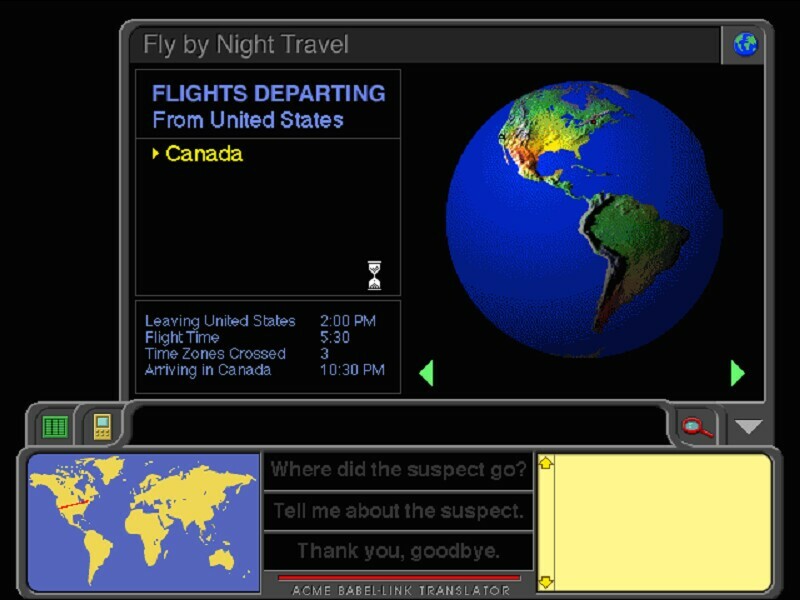 This is the 1996 update of Where in the World Is Carmen Sandiego? (Deluxe Edition) and features SVGA graphics and 15 additional countries. 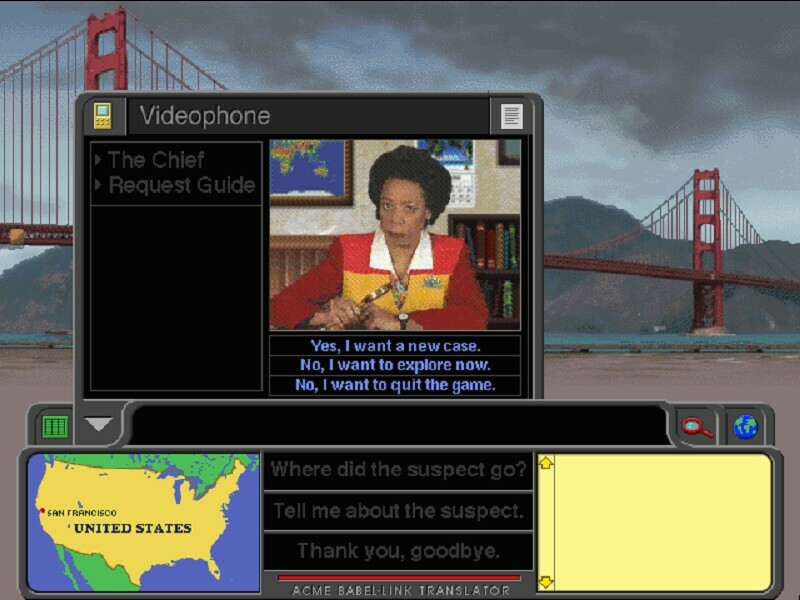 Undoubtedly the most successful edutainment franchise, the Carmen Sandiego series was Brøderbund's flagship line that spawned numerous sequels, TV shows, and even board games. Premiered in 1985 with Where in the World is Carmen Sandiego?, subsequent releases have sold millions of copies worldwide. The premise behind every Carmen Sandiego game is identical: Starting out as a rookie detective, your job is to track down a gang of thieves who are stealing the world's (or the galaxy's/USA's/Europe's/history's as the case may be) most precious treasures. After each assignment briefing, you are given a deadline to capture the thief. Then it's off to the travel screen, where you pick the next destination to track the thief. At each location, you must interpret various clues from a number of sources (informants, etc.) to figure out the thief's next stop, as well as his/her identity. Your mission is a success when you track the thief to the right final hideout (plus time period, if you are playing Where in Time version) with the arrest warrant issued for the correct suspect before the deadline. Missions are progressively more difficult as you solve cases and win promotions. Carmen USA was one of Brøderbund's first releases in the long-running series. 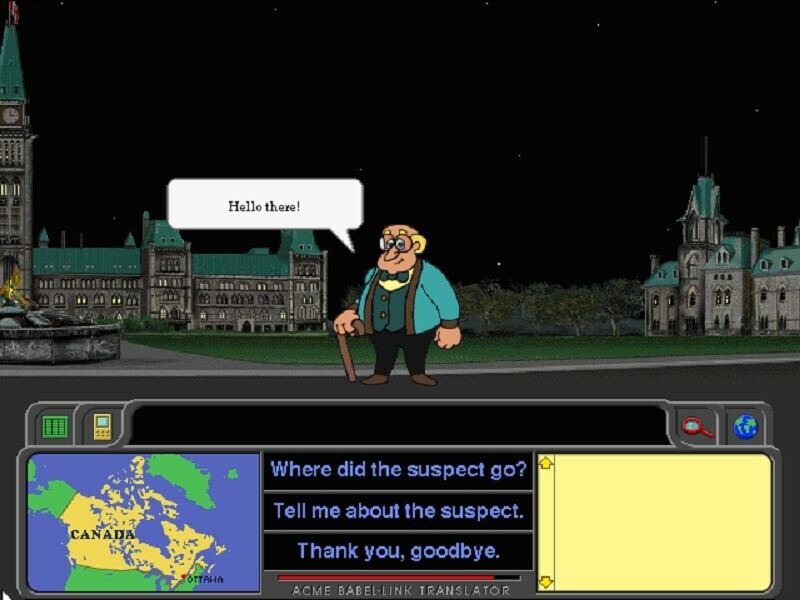 In the game you are a detective who travels through the major cities of the land, such as New York, Dallas, Atlanta, etc., to foil a crime. You use the clues that you obtain through interviews of the local townfolk to determine where you will travel to next to catch-up with the criminal. The scenarios are based on the unique traits in each city. In order to complete each mission you must follow all the clues, obtain a search warrant and follow all the clues to the proper city and catch the villain.